Rebecca Rittich-Crampton was born into a musical family and began her musical studies at the age of six on both violin and piano. 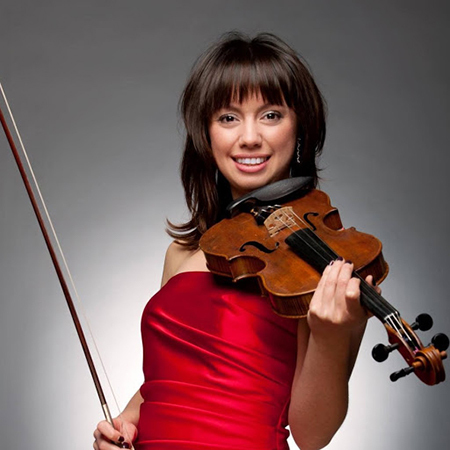 Her passion and love for the violin led her to continue her studies professionally at the University of Victoria where she studied chamber music extensively with the Lafayette String Quartet. Her principal violin teachers have included Nancy DiNovo, Sharon Stanis, and Ann Elliot-Goldschmidt. Rebecca has had many opportunities to participate and perform in master classes led by renowned artists such as Pinchas Zuckerman, Amanda Forsyth, Bill Preucil, and Charles Castleman. Aside from performing Rebecca also had the amazing opportunity to study conducting with the late Janos Sandor. Awarded a Bachelor of Music Degree from University of Victoria, Rebecca travelled to Europe to continue her studies with Hungarian violinist Denes Zsigmundy performing and touring Germany, Czech Republic, Prague and Austria. Upon her return to B.C. Canada, Rebecca performed as a baroque soloist with the Quasi Bene Orchestra under the direction of Adrian Albulescu. Her passion for teaching eventually led her to the east coast where she studied Suzuki pedagogy at Queens University in Kingston Ontario and became a certified Suzuki Instructor. A passionate and enthusiastic teacher, Rebecca enjoys teaching and working with all ages and levels of ability. Rebecca is a member of the British Columbia Registered Music Teachers Association and her students have succeeded with top honours in R.C.M. exams, competed at the provincial level at the Kiwanis Music Festival, and have won auditions into the Vancouver Youth Symphony Orchestra.